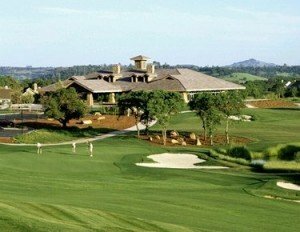 Winding through the Sierra Foothills just a few minutes south of Murphys, Saddle Creek Resort’s 18-Hole championship course, designed by Carter Morrish, opened in 1996 and offers both subtle and dramatic changes in elevation. Stretching just over 6,800 yards from the black tees, the championship tees have a slope rating of 137. The mens’ tees measure 6,044 yards with a gentle slope rating of 122 and the ladies’ tees measure 4,486 yards with a slope rating of 117. Since its opening nearly twenty years ago, the award-winning course has quickly become one of the highest rated courses in California, with only one other course, Pebble Beach, rated higher. To add to an already extraordinary golf experience, the course offers incredible views of the Sierras and Yosemite guiding you past natural lakes and streams as you move from hole to hole. When you’re ready for a little rest and relaxation, their beautiful, Frank Lloyd Wright-inspired restaurant, Copper Grille, is at the ready to serve breakfast, lunch and dinner (paired, of course, with a wonderful assortment of Calaveras wines as well as offerings from other select regions). If you’re feeling a bit too weary to drive the few minutes back home, no worries. The resort’s bungalows — each equipped with fireplace, full kitchen, two bedrooms, a patio and WiFi — offer an incredible night’s sleep, especially if you choose to make an appointment for an in-room massage from one of the resort’s professional massage therapists.